A year before I received Christ as my Savior, I was hospitalized in a U.S. Army psychiatric ward. My uniform was replaced with the distinctive attire of a mental patient. Ironically, I’d been attached to the same hospital as a medic on the pediatric floor. And to make things only slightly more surreal was that one of my nurses on the psych ward was someone I bought drugs from! Previous to this hospitalization, I had dropped two hits of LSD and found myself in an awful mess. It was night and I was prowling outside my barracks. I was hallucinating heavily and had lost control of my thoughts. I had pretty much flipped out and it entered my drug saturated brain that the darkness would kill me that very night! Utterly convinced of my impending fate, my mind seized upon the street lights. If I could stay in that illuminated circle I could escape death! The light would save me. I stood under that light for a few hours. As I stood I could see very clearly the boundary between the light and the dark. I knew I was safe as long as I didn’t wander. Despite that traumatic experience, the drugs and the mental instability continued to develop. I began to mainline cocaine, crossing my “no needle line”. I also became quite the heavy drinker, with Jack Daniels for breakfast. I had one basic rule though. As a medic who worked in maternal/child health, I had the best assignment in the Army. Many people coveted it, and I was not going to endanger it by drugs or alcohol. I never went on duty loaded. 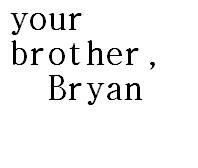 It was my rule. I would be the best medic they had. Shortly after my psych ward discharge, I was reassigned to Labor & Delivery on the night shift. I was pulled from my duty and I went on an ambulance run as the medic in charge. We were called to officer’s housing were an older man had died in bed which got me thinking. Back at the hospital I returned to L&D. On the way back I took a shortcut through a ward on another floor. That’s when I found it! 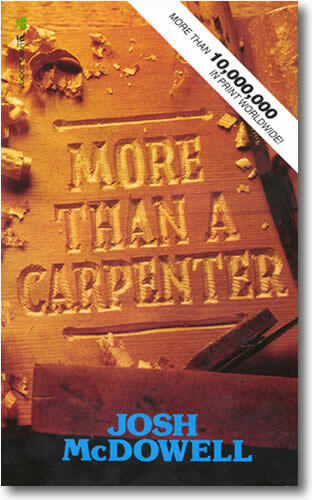 On a waiting room table was a small book called, “More Than a Carpenter” by Josh McDowell. I picked it up, reading it right on duty because there were no mothers waiting for the delivery room. By the end of my shift I was well on my way to becoming a Christian. It was a book solidly speaking of the light, and of the dark. And I knew beyond a doubt that I couldn’t remain in the dark anymore. I was honorably discharged from the U.S. Army in June of 1982. I became a born again believer on July 4, 1982. I was in Bible College that October. Life has become radically different, and I became a missionary and a pastor. All I can tell you is that Jesus is real, he is alive and the Bible is true. I have translated from the dark to the light, and I am not afraid anymore. Jesus is my light.